Home > Beauty > New ways to use those Old School Products!! Blue Magic Hair Dress I know. Just hear me out. You know how you spend hours rolling your hair for the perfect roller set, only to be met with frizz like, five minutes later? Blue Magic can help with that! While I don’t advocate putting products with petrolatum and mineral oil on your scalp (serious pore cloggers), used SPARINGLY on the hair strands, it’s a pretty good humidity blocker. You can apply a bit on the hair while its still damp to create a shield, locking in moisture. Use a dab on your finger tips to separate dry curls to add shine and keep humidity from ruining your style. Remember, a little of that stuff goes a LONG way, so don’t overdo it–especially if you have fine hair! 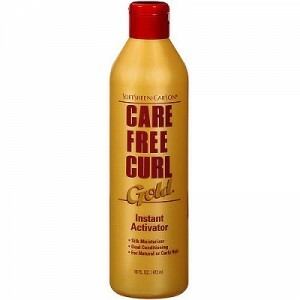 Care Free Curl Gold No, I promise this is not what I have in mind (no shade to those of you who are still rockin’ the curl, though). Seriously, curl activator makes a GREAT moisturizer due to the glycerin content. Glycerin keeps hair moisturized by drawing water from the air into the hair strands. Simply fill a spray bottle with water or aloe vera juice (I use equal parts of both), add a couple of ounces of curl activator and a bit of oil of your choice (olive oil, sweet almond oil, jojoba oil, etc.) and you just made a super moisturizing leave-in conditioner. Feel free to add in a few drops of your favorite essential oil for scent! Lotta Body Setting Lotion. I know we love our curl creams, gellés, custards, parfaits, and other hair desserts. But please don’t sleep on the tried and true setting lotions. 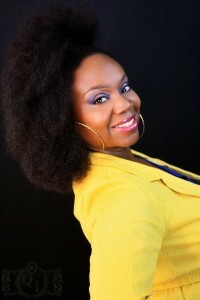 Setting lotions work great for natural and relaxed hair, and they’re not just for roller setting. Try using them for twist and braid out styles as well. You’ll get great curl definition, a light to medium hold, shine, and no flakes. Setting lotions work best on fine to medium hair that doesn’t require a lot of product–no worries about hair being weighed down! 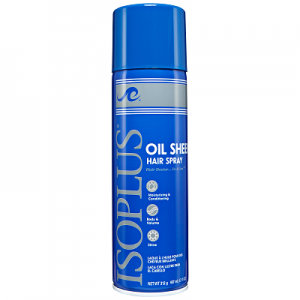 Isoplus Oil Sheen Hair Spray. Yaaaassss! Nothing says “straight from the shop” like the aroma of oil sheen and Marcel irons! I know we are into exotic oil-infused shine sprays and serums now, and those are great. 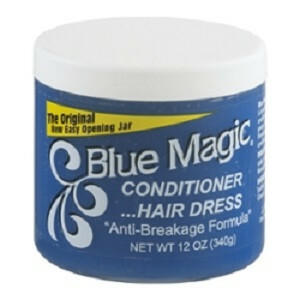 However, if you want your hair to shine like glass, pick up the blue can. Not only does oil sheen impart a healthy sheen to your finished styles, but it also provides a bit of a barrier to humidity. But be careful; you only need a quick spray. We don’t want the “greasy” look. Sportin’ Waves, Royal Crown, Murray’s and the like! Now we couldn’t leave out the fellas. I don’t know what it is about these products, but they get the job done! 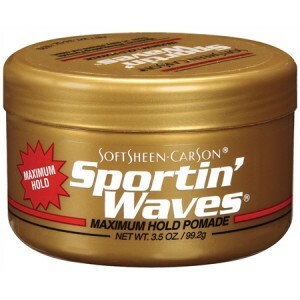 Keep your low cut natural curls and waves in check with a bit of pomade and a good wave brush. Use a stocking cap or do-rag to tie hair down, especially if you want the 360° wave look! What are some of your favorite old school products? Beautable Online Beauty Portal Is Live!! !